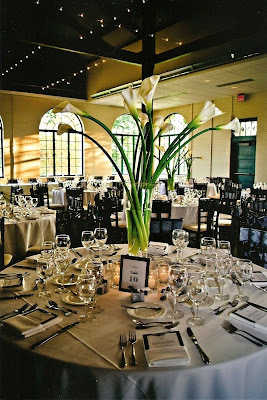 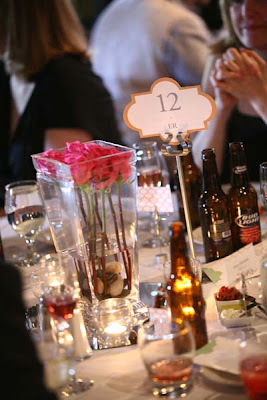 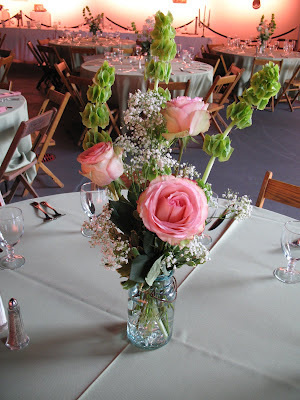 Here is a “collection” of some of the centerpieces and other flower decor that we’ve done this spring and summer. 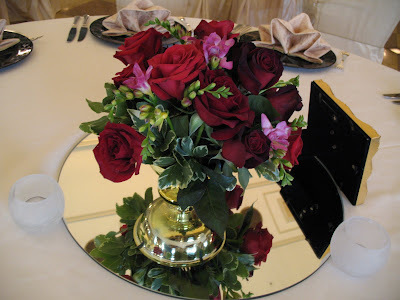 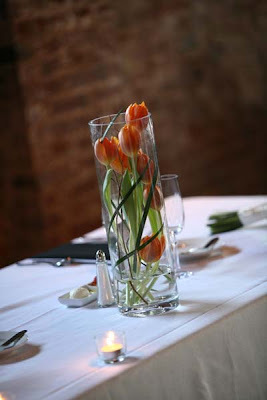 Bright reds and pinks made these roses and freesia pop against the white table linens. 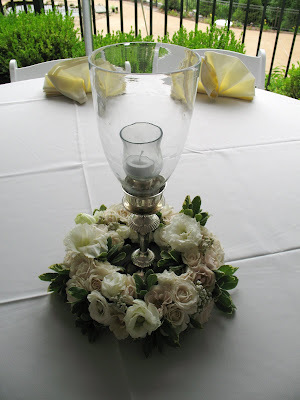 These hurricane candles with a lush flower wreaths were perfect for a summer garden-themed wedding. 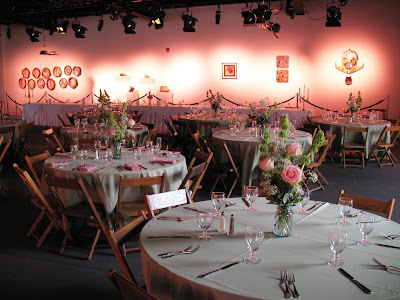 Small jars of Esperance roses and bells of Ireland were a great cimpliment to the pink washed walls at the Mad Art Gallery.